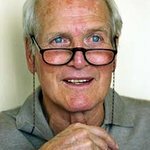 Having closed the book on his five decade long acting career, 82-year-old Paul Newman is now turning his full attention towards his philanthropic activities that began nearly two decades ago. By producing his own brand of dressings, pasta sauces, popcorn and salsa, Newman has raised more than $200 million for charities. His Dressing Room restaurant in Connecticut is a “home-grown” affair that supports local and regional farmers, fishers and producers, and raises awareness of a more sustainable food future. Mr Newman also continues to expand his Hole in the Wall Gang summer camps for critically ill children in the U.S., Europe and Middle East; the number currently stands at twelve. The summer camps allow illness to slide into the background while the kids enjoy boating, fishing, swimming, archery, arts and crafts, woodworking, performing arts, horseback riding, nature, overnight camping and group adventures. The camps are designed to allow every child to participate and to ensure that no child can fail, all the while receiving superior 24-hour medical care free of charge. More than 100,000 children from 31 countries have attended the Hole in the Wall camps. Marathoners, bike racers and other athletes can access resources online to help them raise funds for such camps.